G4's two longest-running shows will cease production at the end of this year. G4 has had plenty of original programs since its 2002 launch (along with lots of Ninja Warrior marathons), but for years, the channel's gaming presence has been defined by X-Play and Attack of the Show. 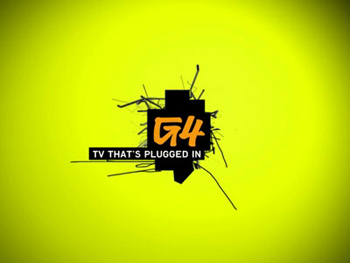 Amidst rumors of layoffs and a network rebranding, G4 has confirmed that its two longest-running shows have been canceled, with both to cease production by the end of 2012. Both X-Play and Attack of the Show will air new episodes until December, and the shows will be "looking back on their most memorable moments" with "a rotating lineup of guest co-hosts." G4's statement didn't elaborate on the reasons for the cancellations, and concluded, "We hope you've had as much fun watching them as we have had making them, and sincerely hope you join us in bidding a fond farewell to Attack of the Show and X-Play as we look back over the next two months and head towards each series' finale." X-Play made its debut in 2003, with Attack of the Show following two years later; since then, both shows have produced over a thousand episodes. Prominent X-Play co-host Adam Sessler left the channel earlier this year, and last month rumors persisted that G4 was going to be rebranded. G4 didn't detail what content would replace the shows, but no matter what, it's certainly the end of an era for those who spent nearly a decade tuning in.